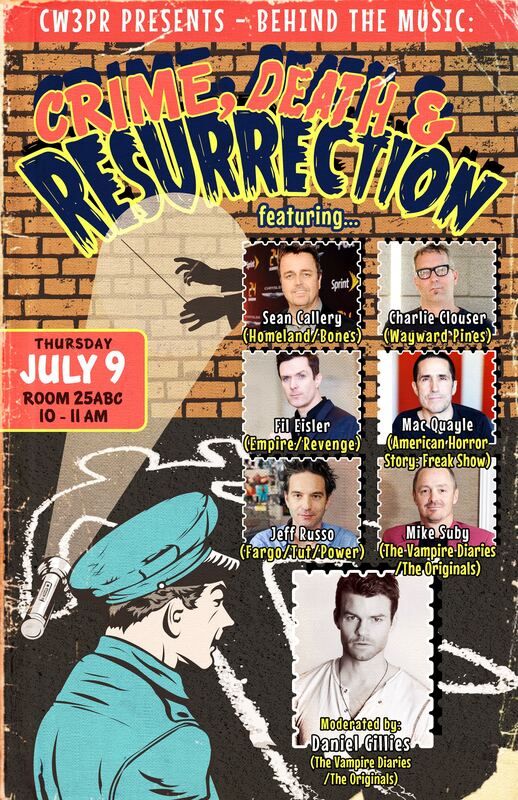 “Behind the Music with CW3PR” – The original music panel returns to San Diego Comic-Con with TWO panels to celebrate its SEVENTH CONSECUTIVE YEAR, featuring composers from some of your favorite films and television shows! 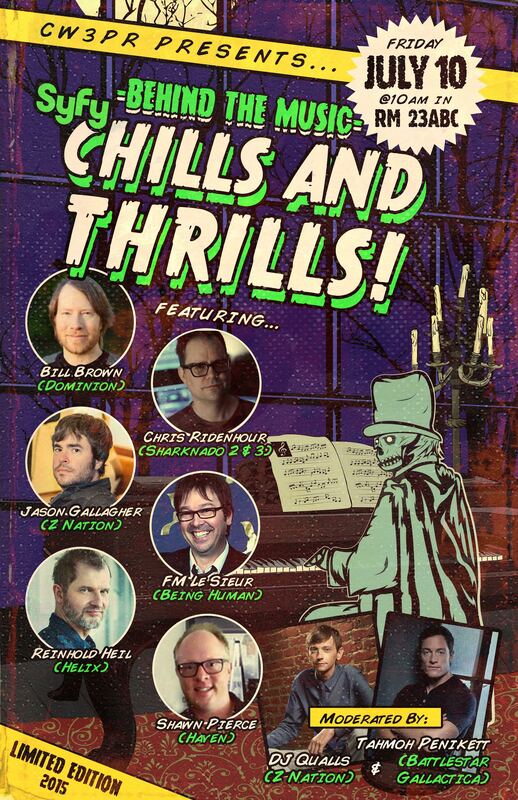 After the success of last year’s panel moderated by Shane West (Salem, Nikita), we are thrilled to return this year with even more music and fun! Attendees at each panel will be the first to view (and hear) some surprise sneak peeks and have a chance to win some exclusive giveaways! 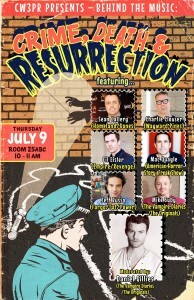 Join Sean Callery (24, Homeland, Bones), Charlie Clouser (Wayward Pines, Saw), Fil Eisler (Empire, Revenge), Mac Quayle (American Horror Story: Freak Show, Scream Queens), Jeff Russo (Fargo Tut, Power) and Mike Suby (The Vampire Diaries, The Originals) as they explore the sounds of some of Hollywood’s biggest television shows! Moderator: Daniel Gillies (The Vampire Diaries, The Originals). Join Bill Brown (Dominion), Jason Gallagher (Z Nation), Reinhold Heil (Helix), FM Le Sieur (Being Human), Shawn Pierce (Haven) and Chris Ridenhour (Sharknado 1-3) as they show you how much influence the music has on defining your experience as a viewer and learn about the subtle details that go into making sounds for top Syfy television programs. Moderators: Tahmoh Penikett (Battlestar Gallactica, Continuum, Haven) and DJ Qualls (Z Nation). Scooby-Doo! KISS! Gods & Monsters! LEGO DC Super Heroes! Batman Unlimited at SDCC!